Information shared with a shipping provider includes city and post code, to calculate shipping rates. This Site may use the information we collect from you when you register, make a purchase, sign up for our MailChimp newsletter, respond to a survey or marketing communication, surf the website, or use certain other site features to quickly process your transactions or reply to inquiries. As of Dec 21, 2015, This Site and visitor sessions are secured via SSL security certificates. We are proud to be one of the few suppliers to offer our customers the peace of mind of a fully secured/encrypted session. Shop with confidence; your personal details are not transmitted in cleartext. 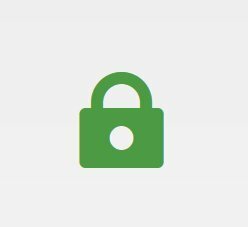 Never enter your private details on any webform if you do not see a lock symbol/https backed by a valid certificate. We accept payments through PayPal and Stripe. This Site does not collect, process or store credit card/payment information. When processing payments, some of your data will be passed to PayPal and Stripe, including information required to process or support the payment, such as the purchase total and billing information. The information that we receive from paypal.com and stripe.com consists of customer email address, and shipping address. We do not use this information for anything other than communicating with our customers in the normal course of completing a transaction. All billing information is handled securely by paypal.com.